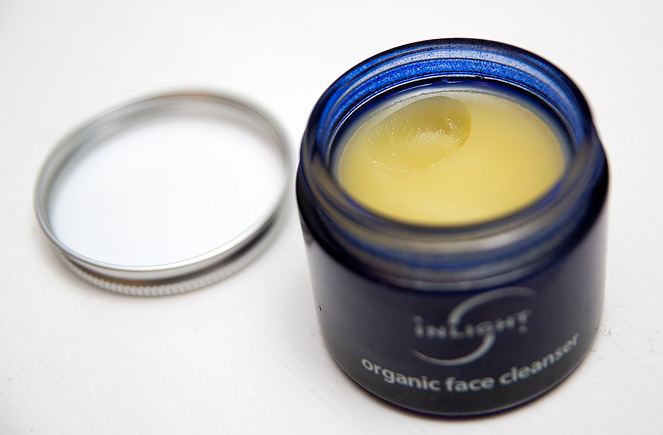 Inlight are a soil association-backed organic skincare brand hailing from deepest, darkest Cornwall with a philosophy geared toward homeopathic formulations and highly concentrated products. The product I’m talking about today is their Organic Face Cleanser which is packed full of natural ingredients suspended in a moisturising base of coconut oil. I’m familiar with many types of oil and balm-based cleansers, they form an important step in my daily cleansing routine since discovering the “like attracts like” properties of oil for makeup removal a few years ago. 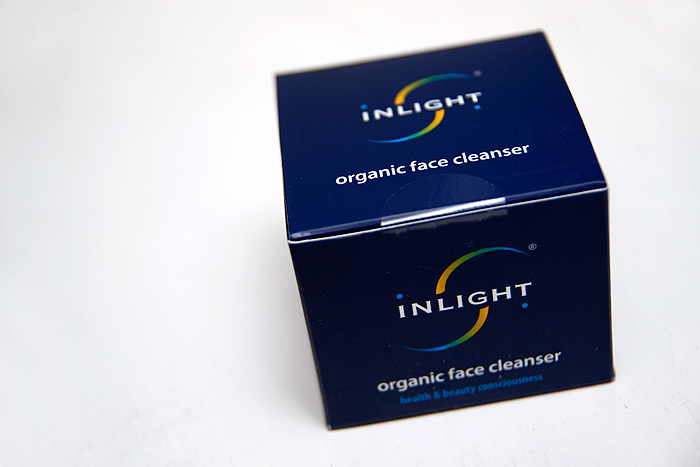 Inlight’s Organic Face Cleanser is, to put it simply, high quality. It contains no synthetic fillers to bulk the volume and every last gram has been engineered with great thought as to what purpose each ingredient serves. The website impressively lists the skincare benefits alongside the ingredient list, transparency is key and it’s a real pleasure to be able to break down the properties to their base values. For your money (£27.00), you get 60ml of product. That’s not a lot of product for a cleansing balm, something that you reach for daily and although you don’t need a huge amount to cleanse your face… I was only able to make my pot last around 35 days. We’re not talking an inexpensive product but then… you don’t pay peanuts and get high quality do you? I sometimes find the scent overpowering with organics, they can be very heady and herbal. Not unbearable but often a little overwhelming. This face cleanser is reminiscent of a good (but not too heavy) aromatherapy oil, the multiple natural scents in the jar don’t jostle for pole position and I can appreciate a few individual notes in there (mostly the lavender and lemon). The texture is beautifully creamy, it spreads over my face nicely with good slip but enough drag to encourage a good facial massage during application. Breathe in deeply as you apply it and you’re benefiting from the fragrance aswell. I have bitten the bullet, taken the plunge and can confirm that I’ve encountered no eye irritation despite being thoroughly clumsy during the mascara removal stage! Often oils and balms will cloud my vision (at best) or send me scurrying for the cold water tap to flush my eyes (at worst). The Inlight Organic Face Cleanser does neither, we’re in the retina-friendly zone with this one! I don’t have any complaints with makeup removal, it does the job well and cleanses my skin nicely. I don’t wear waterproof mascara but seeing as this is an oil-based product anyway, I can’t imagine it being less effective on more stubborn products. 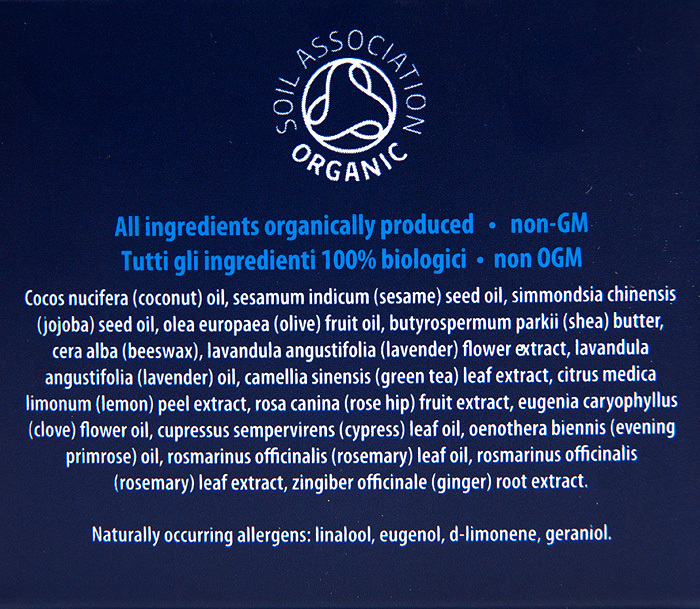 My only gripe with the Inlight Organic Facial Cleanser is that it’s not an emulsifying cleanser. Don’t expect this to turn the water cloudy and rinse cleanly away without a bit of effort on your part. With hindsight, this is both a good and bad thing. I’m used to emulsifying cleansers, infact I rate them on how well they emulsify. I dislike being left with an oily residue which is precisely what this one will do unless you’re diligent in your rinsing, wringing, rinsing, repeat. For me, this is definitely the 1st step in a 2-part cleansing ritual… I need to double cleanse after using this. I say it like it’s an inconvenience but the truth is, I’ve always double-cleansed anyway. Even with the best emulsifiers, so I’m not sure why I consider it an issue. Infact, because the ingredients are so pure… I’d be tempted to suggest that those with very dry or mature skin not even bother with a 2nd cleanse. Any residue from those ingredients will probably do you more good than stripping everything away with a 2nd cleanser. I guess it boils down to what you’re used to. Which brings me to my final point. What I’m used to… well, I’m used to oils and balms leaving my skin a little tight. Nothing I can’t put right with a dose of heavy bed-time moisture but still, it’s a compromise I’ve always made. The Inlight Organic Face Cleanser doesn’t leave me with any tightness despite feeling more astringent (read: effective) on my combination (read: congested) bits, I’m just not experiencing the dryness I would have expected. Perhaps it’s the lack of those emulsifying agents? So there we have it. An effective, high quality cleanser that I’d rate as excellent for combination skin. It doesn’t emulsify and it (probably) won’t leave you with tightness. It smells good and it feels like you’re treating your skin to the best you can afford. Only problem is, I’m not sure I can afford it on a monthly basis. This looks and sounds gorgeous. I’ve never tried a balm like cleanser before, but think I’d prefer them to cream cleansers (too much faff/ I spill them everywhere). kind of reminds me of the ‘egyptian magic all purpose skin cream’ minus the all purpose lol though the look, consistency and makeup removal properties is very similar.